You want your spa to be a pleasure to use, and be certain that you and everyone who gets in the water is safe That means keeping the water clean, sparkling and free from bacteria. Hot water is the perfect place to grow bacteria, and if there is nothing in the water to kill it, bacteria can multiple extremely quickly. Fortunately, there are effective disinfectants available that will kill the bacteria, even using only very small amounts. In reality the last point is the most difficult to accomplish, but it will be much easier if you are always taking care of the first two. 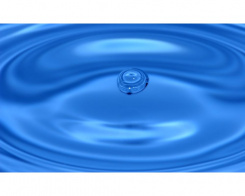 Effective disinfectants (especially chlorine and bromine) are "persistent," that is they stay active in the water for a long time as long as everything is clean. Your water will not only be disinfected (no bacteria present), but also disinfecting (any bacteria introduced to the water will be killed on contact), and there will be no possbililty of infection. 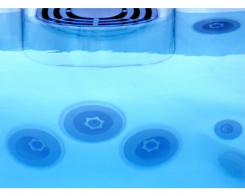 The problem begin when people use the hot tub because when they enter the water, they bring all sorts of contaminents, including dirt and residues of sweat into the water. The disinfectant reacts with these residues and gets neutralized. 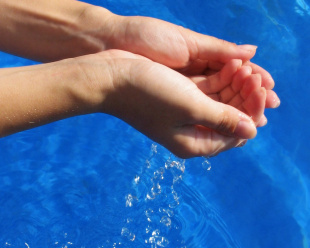 Since the concentration of chlorine is low (just a few grams per 1000 litres of water), you can quickly find yourself in water with no available disinfectant, and therefore vulnerable to infection. If you realise the situation, you can put additional disinfectant in the water before the bacteria multiple. Otherwise, the bacteria will begin to colonize all surfaces of your hot tub, including every small pipe and out-of-the-way crevise. The colonies produce biofilm, a smooth, sometimes mucus-y layer which protects the bacteria from any disinfectant floating free in the water. 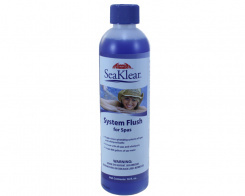 Once your spa is infected, the water will become cloudy and / or smelly, and the only thing to do is to go back to square one, cleaning your spa with a biofilm cleaner. 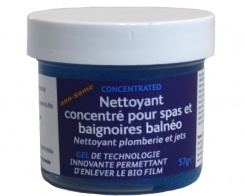 There is no point in changing the water without eliminating the biofilm, because the infection will still be present, waiting to enter the water again when you have refilled the hot tub.